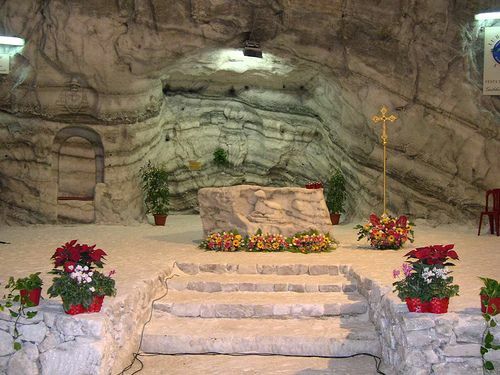 A shrine made from salt by the workers at the Trapani salt beds in Sicily. I don’t eat out as much as a did when I wasn’t so tight with money, but I still do on occasion, especially when I want to check out a new Italian place in or around Manhattan that I’ve heard good things about. I feel okay shelling out for a place that is doing something new, or just doing something classic in a really fine way. I write restaurant recommendations on my blog from time to time, but I don’t write pans. I never wanted to be a restaurant critic; I don’t have the stomach for it. But a problem has arisen in, I’d say in the last ten years. It coincides with the growth of the “bam” seasoning mentality that has become such a problem with many newer chefs. They might not ever admit it, but I can taste it. What bothers me, both as a diner and as a professional cook, is something that has become epidemic in Manhattan, and that is severe oversalting. I’m not talking about the French fries at Burger King or processed foods where you can’t control the salt content; I’m speaking of some upscale restaurants run by well-known chefs and owners. There seems to be an unwritten assumption chefs have embraced that customers and critics won’t applaud your food unless it’s excessively salted. That is a bad assumption. I recently ate at a very busy Italian place in my West Village neighborhood, lines out the door, people jammed together eating at the bar, noise level through the roof. Not my usual kind of atmosphere, but I’d heard good things about its Italian menu, and on paper it looked interesting. Every dish I ordered was outrageously oversalted. I thought it might just be an off night, so I went back about a week later, and I experienced the same thing. I couldn’t believe the salt level in the food, but I kept seeing the lines out the door, so I thought it only fair to try again. Same experience, especially in the appetizer department. The salt built up in the back of my throat. I started two nights with the same dish, a grilled octopus with chorizo and greens (I mean, really, how much salt do you need to add to a dish containing chorizo?). When on the second try I complained to the waiter about the salt, all he could come up with was “It’s one of our most popular dishes.” I don’t know if people are just too humiliated to complain about oversalting because they’re grateful they were able to obtain their 5:30 reservation in such a bastion of hipness, or possibly their palates have been shot to hell by chefs screaming “Attention must be paid” from their hot, steaming kitchens. I find this salt problem especially prevalent in wine bar food and appetizers, but not exclusively. I had a similar experience at one of the Batali restaurants about six months ago. Two dishes, a fritto misto and a pork ragu sauce, were not just salty but really salty. We sent the fritto misto back, but we were too embarrassed to complain about the other one as well. We should have. Please, don’t be shy. Speak out if you run into this problem. Tell your waiter. Tell the chef. These people should know when they’ve crossed the line from acceptably aggressive seasoning to flip impertinence. Or is it just a cry for help. ” Somebody get me out of this boiling, greasy kitchen”.